KBG Injury Law attorney Edward Kennett led a Civil Trial Task Force that established new local civil procedure rules in Lancaster, PA. The rules took effect in April 2016; Kennett received a service award from Lancaster County Bar Association shortly thereafter, and hosted a Continuing Legal Education seminar in September. We spoke with Kennett on the establishment of the rules in Lancaster, PA and how the rules will affect Lancaster County moving forward. When did you first become involved with the project? I was appointed by the Lancaster County Board of Judges to serve as the Chair of the Task Force. The Task Force included judges, the attorneys appointed, the court administrator and the prothonotary. Each of the attorneys on the Task Force brought different perspectives and priorities — we helped to balance each other out. What are the new rules established? While the Task Force arose from the Supreme Court’s directive to create rules that help speed up the civil court docket, the Task Force was given the responsibility to reevaluate the entirety of the civil rules. As such, we ended up with extensive changes to the local rules. The most significant changes related to the way in which cases get before the Court for disposition. The new rules set up three time-frames for when the discovery process needs to be completed, after which the court will schedule a pre-trial conference and set a trial date. These changes should minimize the number of cases that languish. You hosted a CLE just last month on the topic. What did the CLE cover? As anyone knows, change can be difficult. When new local civil rules took effect in April, a number of questions arose. As a result, the Board of Judges and the Task Force decided to clarify the rules. As part of this process, the decision was made to hold a CLE that included a panel of some of the local judges and members of the Task Force. The CLE provided local attorneys an opportunity to develop a better understanding of the practical realities of how the new rules impacted the practice before the Lancaster County Court. 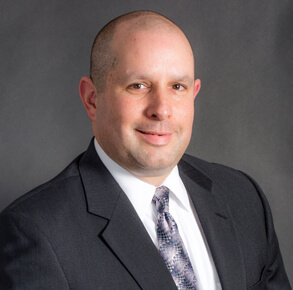 Attorney Edward Kennett a member of the Multi-Million Dollar Advocates Forum and the Million Dollar Advocates Forum, is a fellow of the Academy of Advocacy and has been named as a Pennsylvania Super Lawyer Rising Star numerous times. Additionally, he is a Fellow of the Litigation Counsel of America, an invitation-only honorary society that is made up of less than one-half of 1 percent of all lawyers in the U.S. Reach Kennett here.